Kuala Lumpur, 14th November 2014. Here I'm again invited to attend the exciting and fun-filled event together with over 1,000 VIPs including royalty, 23 foreign Ambassadors, celebrities, captains of industry and international food writers. The MIGF Awards and Celebration Party signaling the finale of the 14th Malaysia International Gourmet Festival MIGF 2014 was an explosive affair with smoke, flame, red hot dancers, magical tricks and glittering awards ceremonies at the Royale Chulan Hotel Kuala Lumpur last Thursday evening. 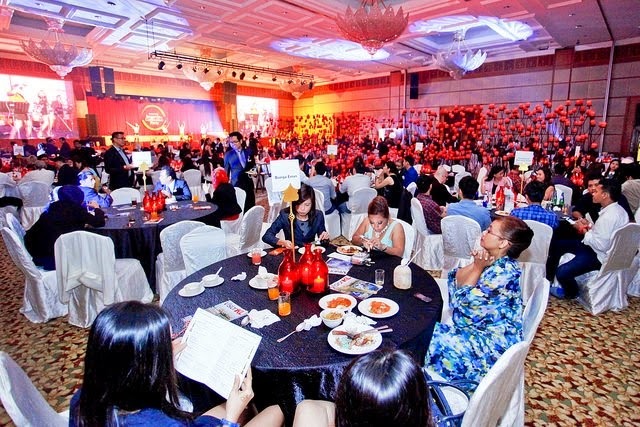 After a hectic month of dining and spectacular Festival events - set to the theme of ‘Red Hot Chefs!’ - it was time for the hard working 28 premier restaurants to let their hair down, enjoy the camaraderie of their peers and be feted at the traditional MIGF Awards and Celebration Party. We were treated to some fabulous best of Malaysian cuisines such as Penang 'Char Kuey Teow', fried oysters, murtabak, satay Kajang, sotong kangkung, opor daging Pahang, nasi kerabu with beef serunding, rendang Minangkabau, fried durian and many more. 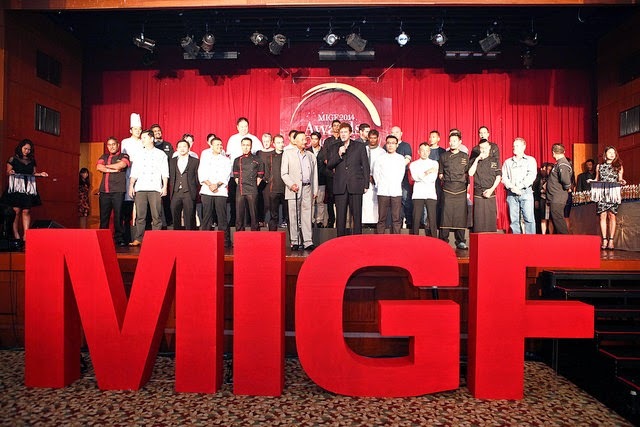 It was the restaurants' night off and courtesy of the Vision Four Media Group, Festival restaurants and guests enjoyed the best of traditional cuisine from each state of Malaysia. Superli-cious Snow skin Durian puff ~ Rich & creamy, good to the last bite, yummy! 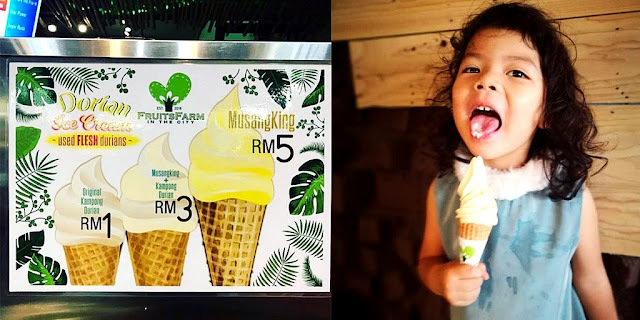 Irresistible Pairs of everything - DURIAN, oh-so-Malaysian! Entertainment were provided by a lively Latin band, energetic salsa dancers and free-flowing drinks made sure it was a long night of continuous revelry. My family and I had such a enjoyable and exciting time catching up with food bloggers and business associates and even managed to catch a shot with celebrities too. 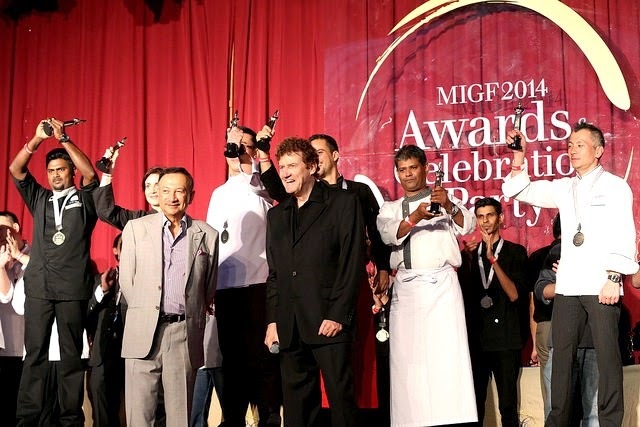 The MIGF Awards and Celebration Party is a rare time, not only for the Festival Chefs, but also for the restaurant management, kitchen, and service staff to enjoy the limelight due to their traditional behind-the-scenes roles. 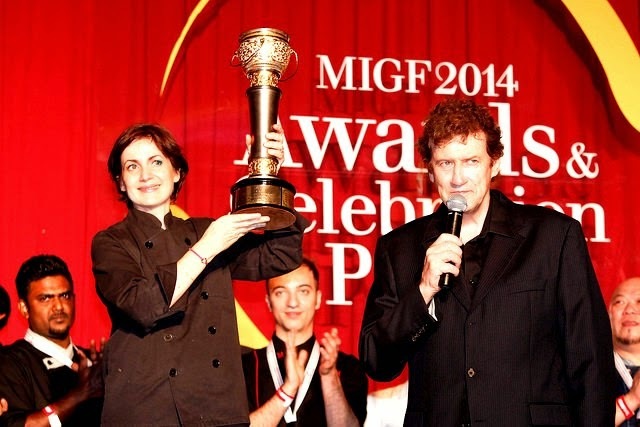 “Everyone involved in MIGF is a winner. Everyone deserves a medal. It has been a privilege to work with all of you!” declared the Organising Chairman, Dato’ Steve Day. 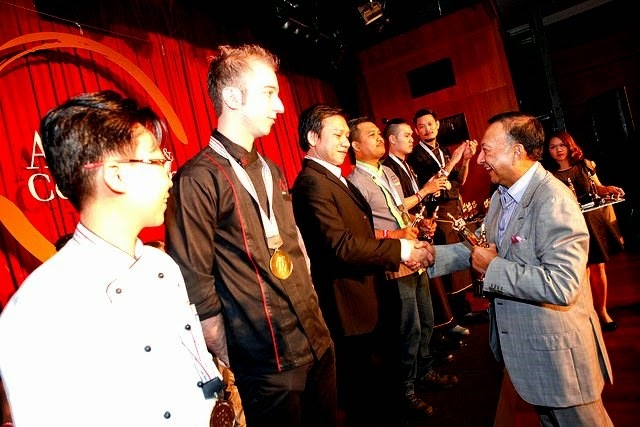 Accompanied by Dato' Steve, Festival Royal Patron Tunku Naquiyuddin ibni Tunku Ja'afar presented medals to the Festival Chefs followed by golden statuettes which the winners jubilantly thrust into the air to raucous cheers from their supporters. All aspects of the Festival Restaurants’ participation, from the menu and marketing down to the quality of service and the best value offers were honoured. Six restaurants made the final cut for the Golden Cauldron Award – given to the best all round restaurant of the Festival - but at the end of the evening it was Chef Nathalie Arbefeuille of Cuisine Gourmet by Nathalie who raised the gleaming trophy high, setting a new record by being the first female chef and the first non-hotel based restaurant to claim the Festival's ultimate prize. In addition to Cuisine Gourmet by Nathalie, the finalists for the Golden Cauldron Award were La Scala, Marini’s on 57, Tanzini, Ten Japanese Fine Dining and The Olive. 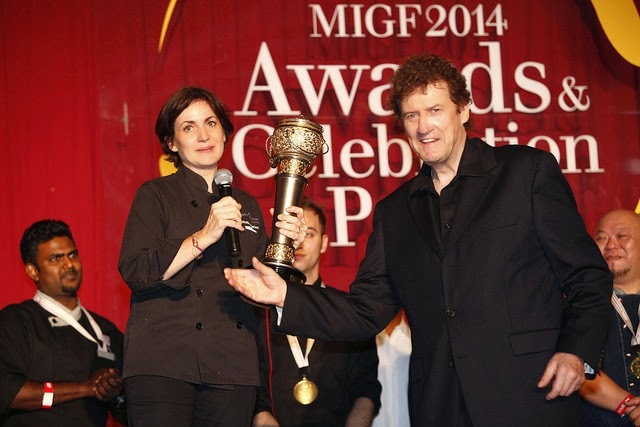 Four Special MIGF Awards were also presented: The prestigious award for ‘Most Popular Restaurant at the VIP Gala Launch’ was won by Cuisine Gourmet by Nathalie based on portions and value sold. ‘The Most Popular Overall Restaurant at Taste MIGF’, this time by public response, was won by Ten Japanese Fine Dining. 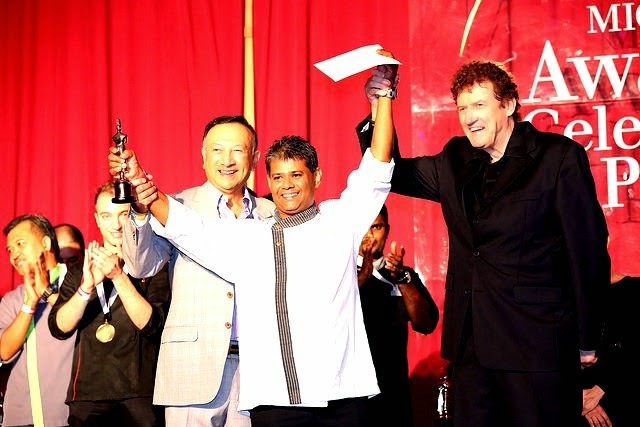 The award for ‘The Most Outstanding Marketing of the Festival’ was won by Resorts World Genting; while Westin Langkawi’s Seasonal Tastes won the award for ‘The Most Outstanding Overall Festival Experience’; Chef Valmurugan Subramaniam of Samplings on the Fourteenth was voted by his fellow chefs as ‘Chef Congeniality’ - the most popular chef of MIGF 2014. The theme 'Red Hot Chefs!' provided the backdrop for the Festival Restaurants to test their mettle against their peers in some of the most creative interpretations of the theme, ranging from spicy servings and sizzling decorations to fire breathers, fireworks and even a chef arriving by helicopter! Before I end my post, I would like to say that this had been a such an amazing, spectacular event for me this year. Many thanks the MIGF team for inviting me as a part of this exquisite event. I will be looking forward to attend the Taste MIGF gala launch in 2015! If you find yourself craving for delicious seafood, especially fresh and meaty crabs, head on over to The Manhattan FISH MARKET in Pavilion Jalan Bukit Bintang Kuala Lumpur. Dining at this popular Pavilion restaurant is easy. Just walk in and order from the extensive seafood menu and be pampered with mouth-watering King crabs, Australian Spanner Crab, French Crab, Slipper Lobster, Cod, Dory, Ocean Perch, Hake, Cherry Snapper, Oyster and prawn dishes to suit your fancy. The Manhattan FISH MARKET positions itself to be one of the finest seafood restaurant in town specialising in serving the freshest and tastiest crab dishes. Its crabs are air-flown, freshly imported and are only available on limited quantity while stock last. Seafood lovers can indulge in the highlight of its new menu featuring the Crab-licious Chilean King Crab. I loved the sweet briny flavour and delicate texture of the Chilean King Crab, making it a prized crab meat the world over. The King Crab comes served with 2 types of in-house made dipping sauces to go with the poached crab meat, but I would recommend you guys to eat the crab as it is, in order to savour the natural flavour. The freshness was especially prominent when I was eating the crab’s body meat. The brilliant bright red and pure white colours of the meat, its naturally buttery sweet succulent flavour and incredible texture is an epicurean delight. Crustacean lovers, you seriously do not want to miss this super crab dish! Another house speciality ~ Australian Spanner Crab. Best served poached to retained its taste and texture, I enjoyed eating the rich tasting crab butters. It’s actually found inside the back of the shell of the large spanner crab. Considered a delicacy, it has this extra earthy and deep sea bream flavour which would delight any crab roe lovers! Moving on, was the imported French Crabs ~ Reddish-brown colour are famous for lots of fine white crab meat. Robust crab were full of meat which was so condensed and tasty. Cooked in simple poached style but the result was a succulent and fresh tasting dish. For starter, we were served Summer Shroom, a tangy combination of marinated button mushrooms and cherry tomatoes, served together with healthy roasted sunflower seeds for the crunch bite and cranberries for the added sweetness on a bed of mesclun salad. Tossed in a zesty summer-inspired dressing. If you’re not vegan, add even more protein to jazz up your salad with delicious add-ons of crispy Whitebait or Cajun chicken. Another fun and exciting starter to try is the Oyster Roulette. Good for sharing, play a game of dare with your friends. You can turn up the heat and fire up your dining sessions with friends and family by daring them to a fun game of Manhanttan FISH MARKET’s Oyster Roulette. A starter featuring four spicy poached oyster shooters looking exactly the same, except for one extra spicy oyster that is out to knock your senses off, guaranteed to heat up and spark off a fun dining session at The Manhattan FISH MARKET. Fishy Chicky Bang Bang, an excellent combination dish of hand battered crispy fillets of fish and chicken. You can enjoy Surf ‘n Turf in a single bite with dory fillet on one side and chicken fillet on the other, a marriage sealed with cheddar cheese sandwiches in between. Served with a sunny side-up nestled on a bed of fried spaghetti togetherwith house salad and crispy chips, the fillet is the ultimate dream of any afish-cionado seeking the best of both worlds in a delicious mouthful! Seafood lovers can take delight in Manhattan FISH MARKET crowd-pleasing platters too. New exciting menu, they have added more variants on top of their four signature Flaming Platters by whipping out the largest sea-lection of platters in Malaysia. 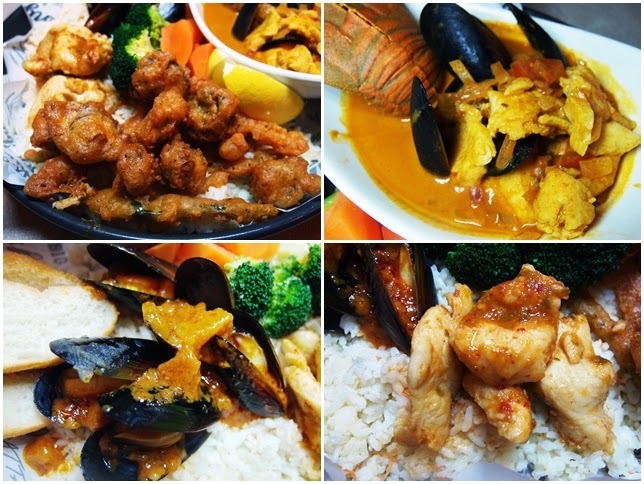 The Volcano island with Slipper Lobster ~ An island of spicy jewels with juicy seafood in Murray Curry, fried Scallops, poached spicy Dory nuggets, Volcano mussels and crispy Baguette on a bed of fragrant Garlic Herb Rice. Soak in the aroma and take your pick from the seafood-licious platter. Squeeze some lemon over the fiery island for added tangy freshness and enjoy the crisp flavours from the ocean. Fried Giant ~ Strike gold with this scrumptious platter of crunchy prawns, crispy fish fingers, cherry snapper fillets, battered onion strips and calamari coated with crushed peanuts for extra bites. Enjoy it all with selection of dips ~ Cajun Honey Mustard, Smoky Chipotle, Tartar and Onion Glory Dip. Have a grilling good time with the newly available choices of grilled Fishes – Dory, Cod, Salmon, Ocean Perch, Hake and Cherry Snapper. Prices varies with choice of fish with limited portion of premium fish available daily, only in Pavilion and Ampang Park while stock last too. Pair it up with your favourite sauce and sides for a delightful full flavoured nutritious packed with protein meal. Full favoured and flaky good old Dory packed with nutrient served with fragrant Garlic Herb Rice. Manhattan FISH MARKET serves a wide selection of beverages from their Coolers, Floats, Shakes, Smoothies to coffee or tea to wash down your meal. I choose to have Citrus Mint, a refreshing zesty smoothies. Made from fresh mint leaves and freshly squeezed lemon juice to balance off my heavy meal. Like it a lot, it was nice with a strong hint of the mint. Goes especially well with the spicy fried platter that I have for the toning down effect. My husband took a light and relaxing cooler, tea infused drink of Earl Grey tea mixed with peachy fruit bites ~ Sunset by the Bay. We could not go home without trying their dessert because it looked so tempting in the menu. So we closed the chapter at The Manhattan FISH MARKET with Super Fruit Crumble and Strawberry Flamingo. A double scoop of Vanilla ice cream drenched in delicious apple sauce, layered with crunchy crumble and topped with cranberries. Mango pudding and fresh strawberries drizzled literally with chocolate sauce and topped with flamed marshmallows. 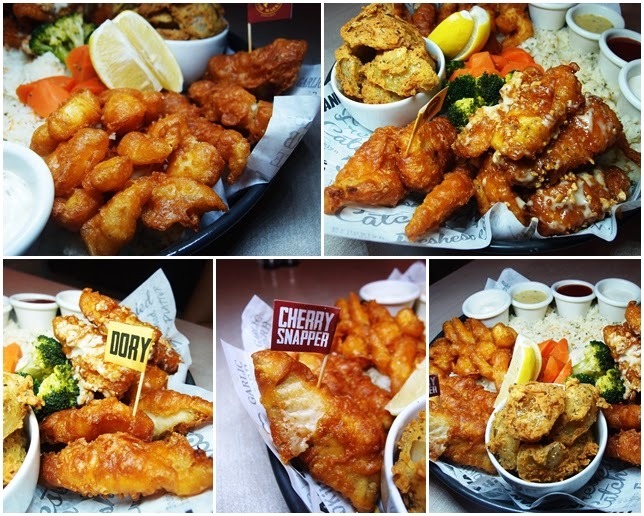 Overall, I think Manhattan FISH MARKET had successfully captured the scene with the introduction of 43 innovative sea-lection with bolder flavours, broadening the variety and value to meets the demands of evolving palettes and preferences of diners. I would highly recommended crab-hunters or crab-eaters to at least try the fresh of the freshest ~ Chilean King Crab for an unforgettable dining experience. Non-crab diners can opt to have the new golden dish of Fishy Chicky Bang Bang, to be delighted with the perfect combination of fish and chicken in a cheesy cheddar meal.